Obviously, it seems it is for some people. Oh, if Dead were to see what the scene is like in 2008. He would drop a big "OMFG". 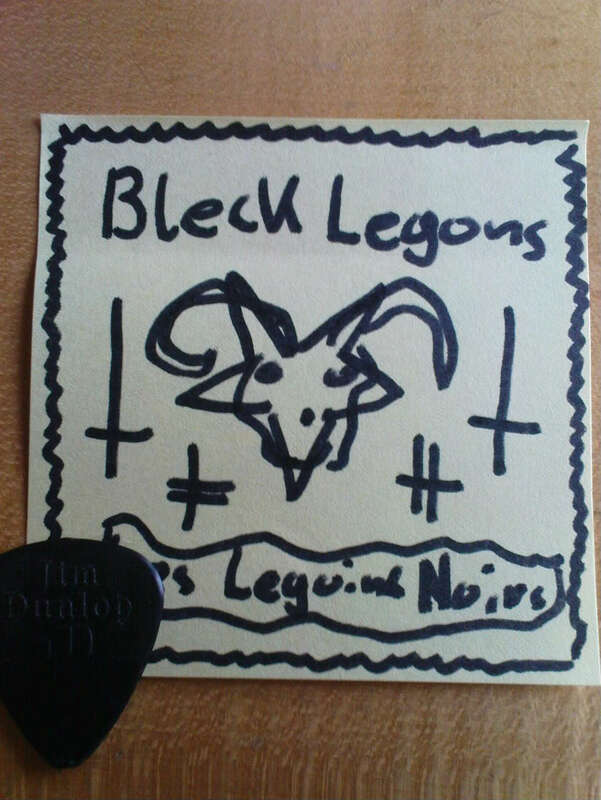 Recently got a Vlad Tepes Bootleg called "Black Legion Spirit". It is actually a pressed CD, but there is neither a label name on it nor anything else. So i question myself who takes the amount of work on his shoulders just to release such a bootleg. I already traded it. It is was a real crappy bootleg. Though i am still interested in how the original tapes sound. Maybe i will find some dub tape in the near future. The only good bootleg i have is the "March to the black holocaust". There the sound is almost brilliant. Anyone knows if the "Broullions" 12"EP is a bootleg? Most claim it to be real some years ago, now everyone says it's a bootleg. I never got one since it's always too expensive in my opinion, but it looks fairly nice. Of course it's a bootleg. seriously, there is only one stuff of this bands not being a bootleg? No no, it's 100% official !! Of course, only if it's official ! ltd to 100 spermed numberd copies ! I'm Wlad from Vlad Tepes horde. I heard there are bootlegs circulating using the name of Vlad Tepes. These are not official releases !!! and I never recorded the "Brouillons" stuff !!!! Beware, I will sue you in justice if you release Vlad Tepes stuff WITHOUT my authorization !!!! Vlad Tepes stuff can be licensed. If you're interested, contact me I'll give the price and my bank info. recently i bought a Black Legions Patch on ebay for 1200 $. Can you tell me if this one is original? Kanwulfof Legion Nargaroth did it in 1962. I search Vlad Tepes Brouillons LP, if someone have interest in sell it, tell me please. You need to find someone from greece or brazil, they produce these LPs on demand. Pure 128kbps MP3 Vinyl madness from the third world (without end). Well, I want a copy of "Pure 128kbps MP3 Vinyl madness from the third world (without end)" jajajajajajajaja, anyway everything that trade of LLN is pirate. But this is interesting, say these LP's are made each stint, then why is it so hard to find one?